This stunning jewel box of a home was custom built in 2013 and is the epitome of Colorado living. The drama of the homeâs expansive, sunlit interiors unfolds just past the front doors, in the conjoined great room/dining room that occupies the heart of the home. Rarely does one find a home so meticulously designed to highlight its natural surroundings, connecting open, spacious interior living with open, spacious exterior living. Uniquely indulgent with an interior that takes its cue from the exterior with rustic hardwood and slate flooring, solid concrete countertops in the kitchen and warm colors to compliment fine finishes throughout. The open kitchen and great room offer the ideal space for entertaining and gathering with friends while the walk-out lower level provides a comfortable family room, large mud room and expansive garage space. 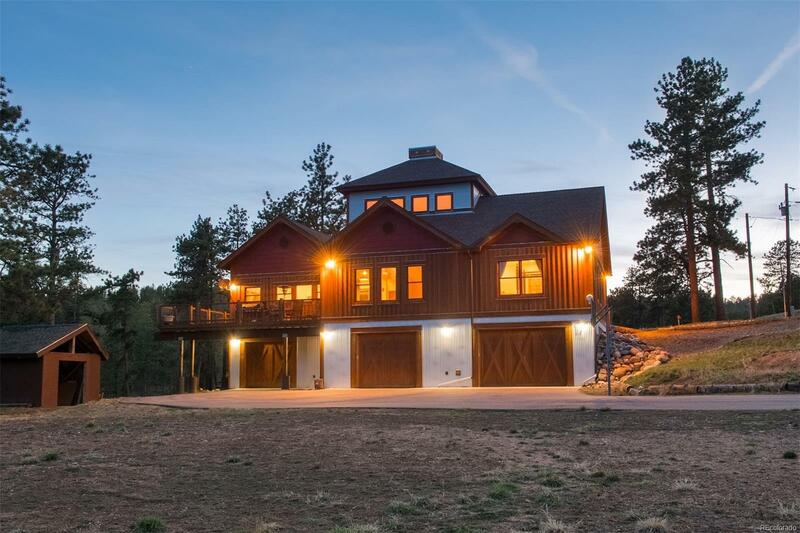 Located on 1.14 acres this residence offers privacy and serenity while being located just minutes from restaurants, shopping and Hwy 285.